Work is an inevitable part of life and many of us work sitting at desks for most of our day. Our highly sedentary work lives can take a toll on our bodies. We can combat some of these discomforts by getting out of our seat whenever possible, hydrating well, and by stretching. Here are some stretches that you can do at your desk without drawing too much attention to yourself. These stretches will help you relax and bring awareness to where you are holding tension in your body. 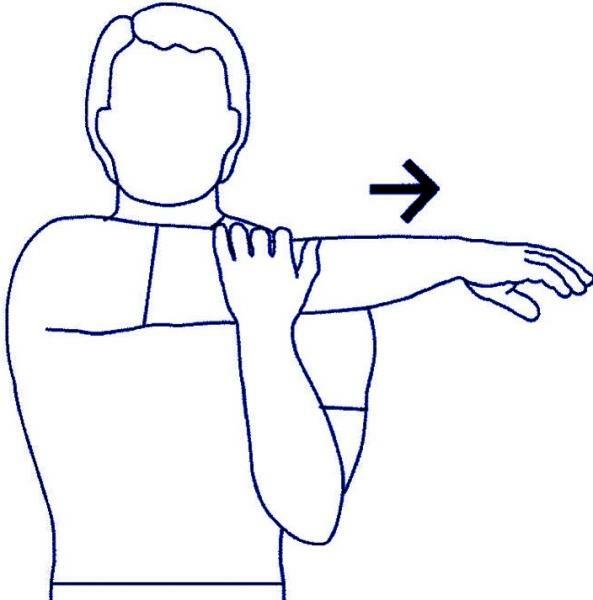 Shoulder stretch – Extend your arm across your chest with your opposite hand under your elbow. Be sure not to rotate your body as you stretch. Remember to relax into the stretch. Relax and return to starting position and repeat with the other arm. Hold for up to 90 seconds. Upper Arm Stretch – Lift one arm and bend it behind your head. Grab you elbow with you other hand and gently pull your elbow towards your head. Relax into the stretch. Relax and return to starting position and repeat with the other arm. Hold for up to 90 seconds. Chest stretch – Place your hands behind your head. Squeeze your shoulder blades together bringing your elbows back as far as possible. Relax into the stretch. Hold for up to 90 seconds. Chin tuck – With your face straight ahead, lower your chin to your chest. Relax the back of your neck as you stretch. This will help loosen stiff neck and shoulder muscles. Hold for up to 90 seconds. Head turn – Starting with your face straight ahead turn your head to one side while keeping your shoulders straight. Hold for up to 90 seconds. Repeat on other side. Side neck stretch – Starting with your face straight ahead tilt you head so that you are moving your ear towards your shoulder. Be sure not to bring your shoulder to your ear. Hold for up to 90 seconds. Repeat on other side. Shoulder shrugs – We often draw our shoulders up near our ears without ever realizing it. Taking a few moments to do shoulder shrugs relax our shoulders and bring awareness to our posture. Looking straight ahead, bring your shoulder up towards your ears and hold for 1 to 2 seconds and then roll shoulders back and squeeze your shoulder blades together. Repeat 8 to 10 times. 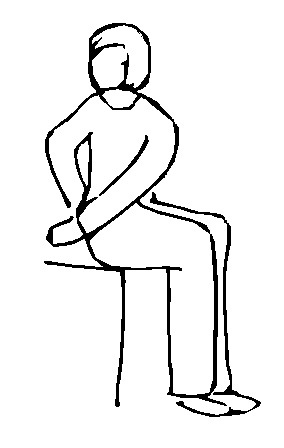 Spinal Twist – In a seated position, with feet flat on the floor, gently twist your torso to one side. Be sure to keep your hips and legs facing forward but relax into the stretch. You can grab the side of your seat to deepen and/or hold the stretch. Hold for up to 90 seconds. Repeat on other side. 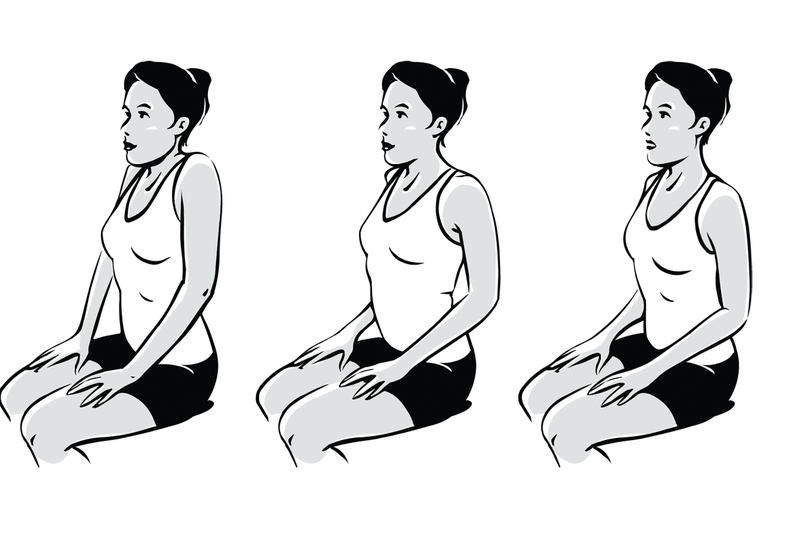 Seated hip stretch – In a seated position, place your ankle over the opposite knee. With you back straight, gently lean forward until you feel the stretch in your hip. relax your hips and low back as you stretch and hold for up to 90 seconds. Repeat on other side. Forward fold/hamstring stretch – You can do this stretch in a seated or standing position. Gently lean forward as far as you can, touching your toes, if possible. 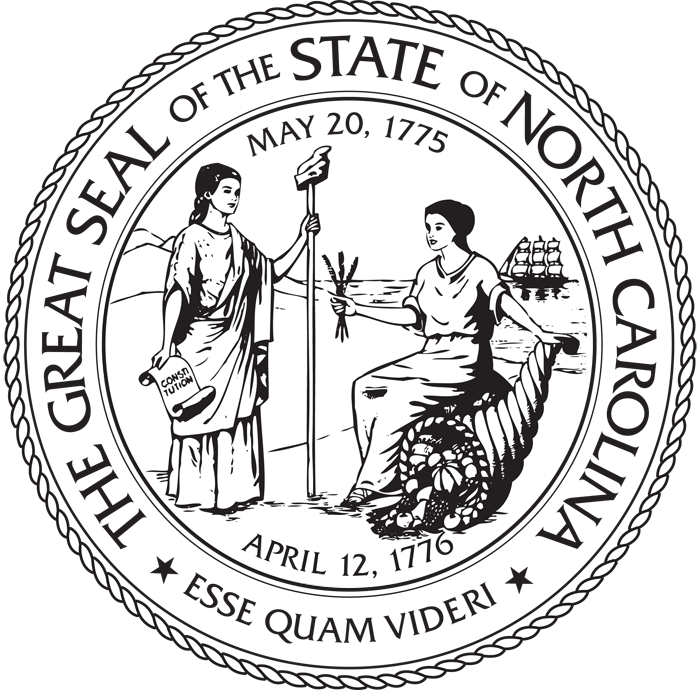 If standing, always return to a straight standing position with your knees slightly bent. If your knees are straight, you could strain and injure your lower back.